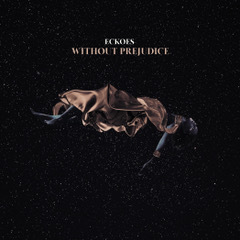 Earlier this month, London-based singer and songwriter ECKOES dropped this beautiful and deftly haunting number. Filled with a palpable sense of dark tension, Without Prejudice is at once both soothing and raw as a throbbing beat simmers alongside abstract rhythms and a gorgeous blend of piano, synth and percussive arrangements. On release it was featured on Apple’s Best of the Week and Clash premiered the sci-fi inspired video today. At five and a half minutes, this is not your typical radio song, but rather a statement of artistic intent, one that is perfectly suited for contextual playlists and sync opportunities. With tastemaker praise from the likes of BBC 6 Music, Q, Wonderland, Indie Shuffle, and Afropunk among others for her previous releases, she was recently scouted by Grammy award winning producer Naughty Boy and selected as an INES (Innovation Network of European Showcases) Talent 2019 Artist. Last night she played Ticketmaster’s curated Acoustic Lates at The National History Museum and in January she will be performing for Sofar Sounds, as well as taking her music to and playing live in China. Mesmerising R&B-tinged electronica.